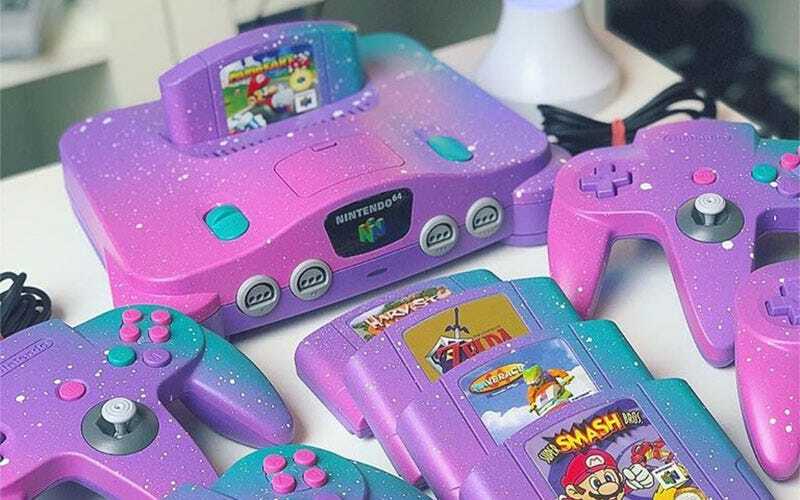 German artist Mizucat, who specialises in 80s and early 90s anime art, also dabbles in cutsom console paintjobs, like this fantastic Nintendo 64. It’s like a unicorn barfed a fairy dust cupcake all over some Nintendo hardware, and I love it. I often complain Nintendo doesn’t release enough yellow hardware, but I guess we can complain they don’t release enough “magic unicorn barf” stuff either. Mizucat also has an online store if you wanted to check out some badass old anime prints!